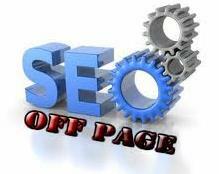 The availability of links from qualitative sites is a main factor for your good appearance in Google. If a lot of people put on their websites a reference to yours, this means that you offer useful and qualitative content. You could receive links to your website once you make a registration in business directories or if you ask your business partners to put in their website a reference to yours. Facebook and the Social Media also offer many possibilities – share there the new content from your site and if it is attractive enough, it will be shared with others and that way you can receive more additional links. Links you could also get from YouTube and Wikipedia, blogs and even forums and many others. Be careful and do not put links to your website from too recent web pages or from others that have too much links and low quality content – Google could lower your ranking because of that. Do not yield to the temptation of creating too much links at once – this is not something that will do you any good as well. The websites that we work, we create a detailed Link Building Plan for systematic building of qualified links as a part of the whole SEO Optimization process for the websites that we work for.